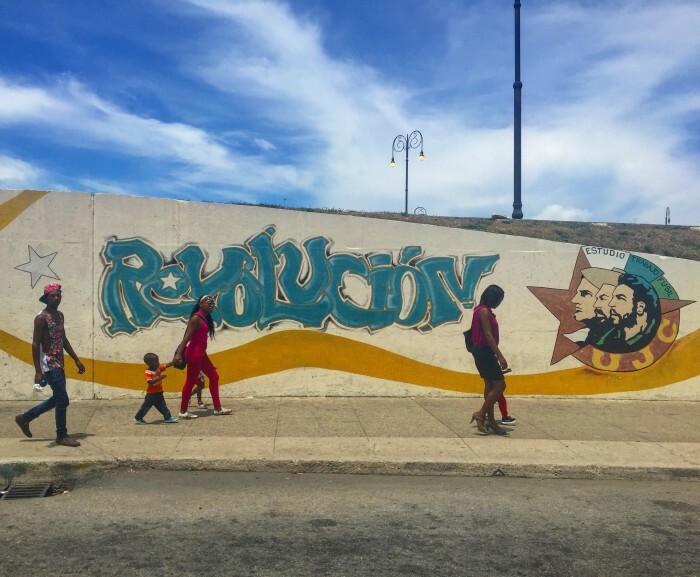 Cuba has a rich artistic tradition, which can be found everywhere from murals painted on walls to the fine art pieces housed in El Museo Nacional de Bellas Artes de La Habana. 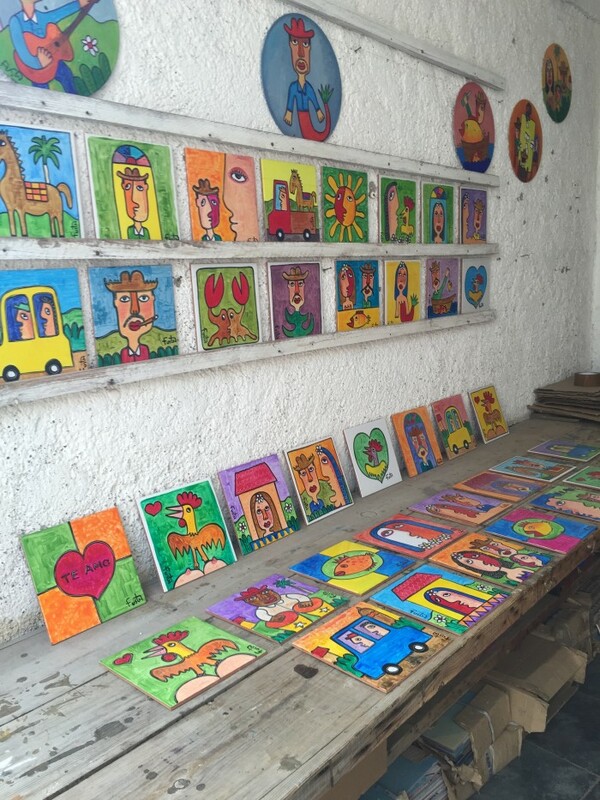 One of the most unique places to find modern Cuban art is called Fusterlandia. 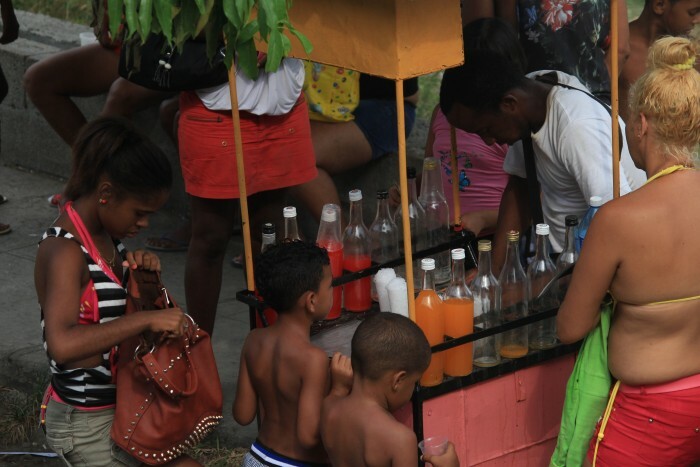 Fusterlandia is the nickname given in Jaimanitas, a seaside town just west of downtown Havana. 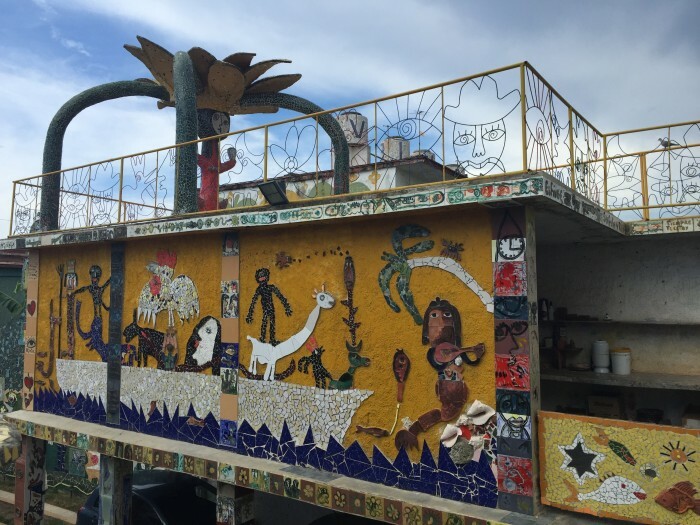 In Jaimanitas, artist Jose Fuster has built a creative enclave called Casa de Fuster that has spilled out into the surrounding neighborhood. 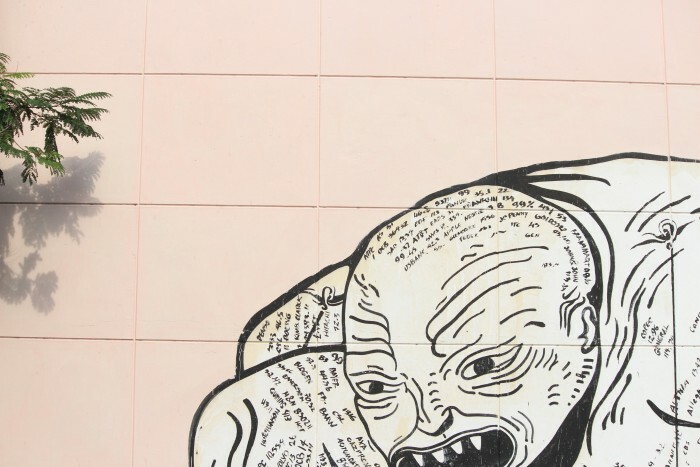 It’s no longer just his house, but has expanded to include murals on other nearby buildings and walls. Let’s back up. 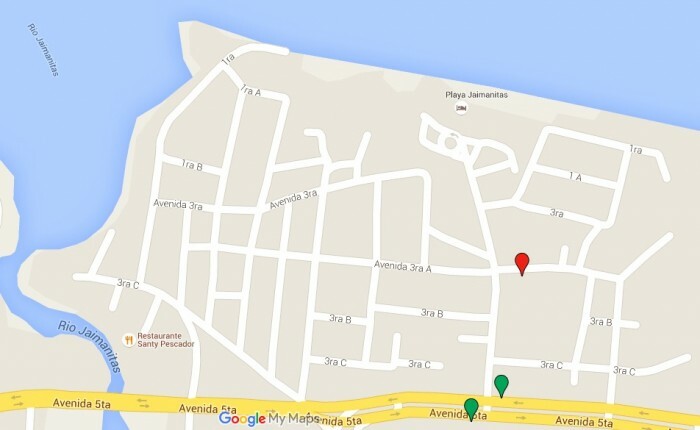 There are several ways to get to Jaimanitas. You can take city buses, if you’re willing to attempt to figure out how the system works (I was not). You can go by taxi, perhaps in a classic car. I opted for the 3rd option, which was to use one of the tourist hop-on-hop-off buses to get there. I know what you’re thinking. Hop-on-hop-off tour buses are the worst. They are unoriginal tourist traps. And usually I would agree. I do think they have their time and place. If you don’t have much time in a city and just want to get an overview, they can be the best way around. Other times, they’re actually a solid value. 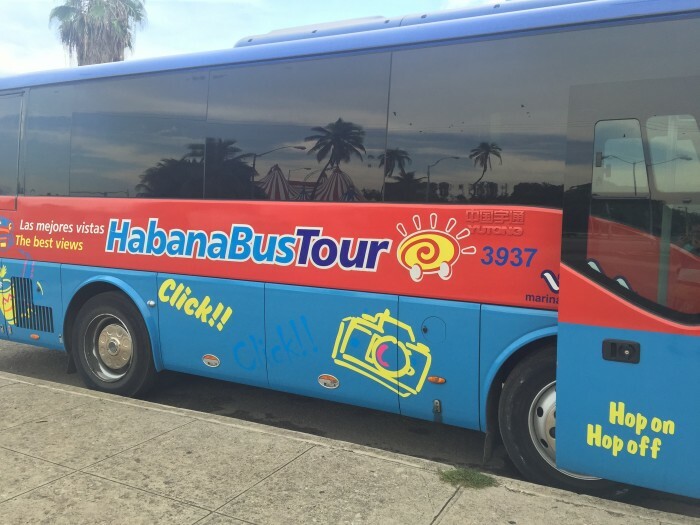 In the case of Havana, the hop-on-hop-off buses cost just $5 CUC for a full day (plus a small add-on to get to Jaimanitas). 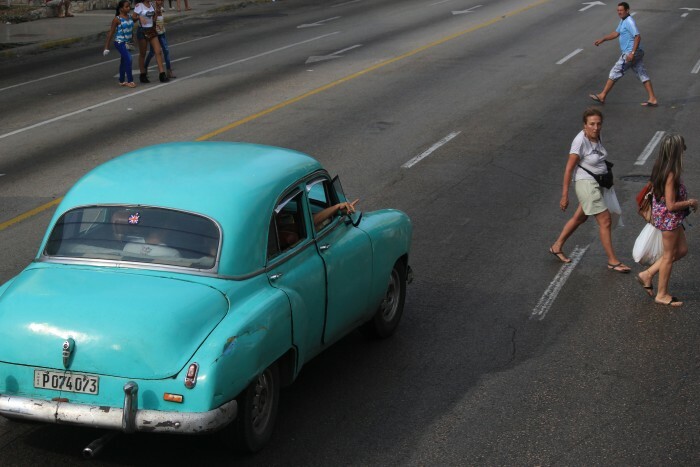 There were large parts of Havana that I had not yet seen, so this would also give me an opportunity to see them on my final day in the city. I hopped on the T1 line at Parque Central. 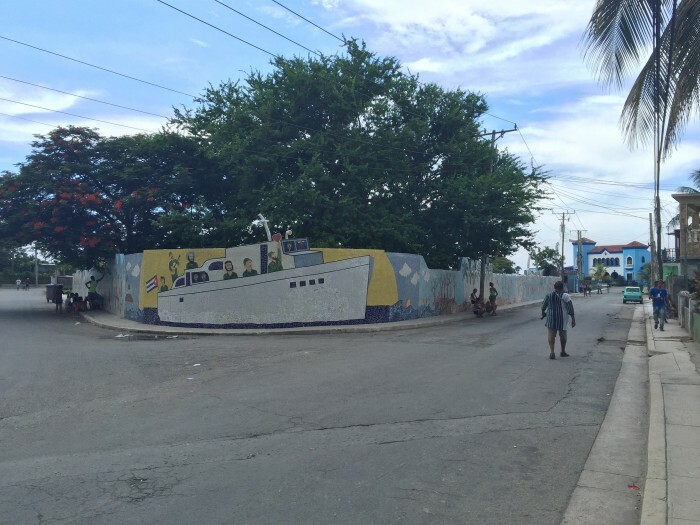 Another line leaves from the same stop and heads out to the beaches east of Havana, so make sure you’re on the right stop before you get on. There was a bit of confusion on the day I went, as a street repaving project meant that stops had been moved. 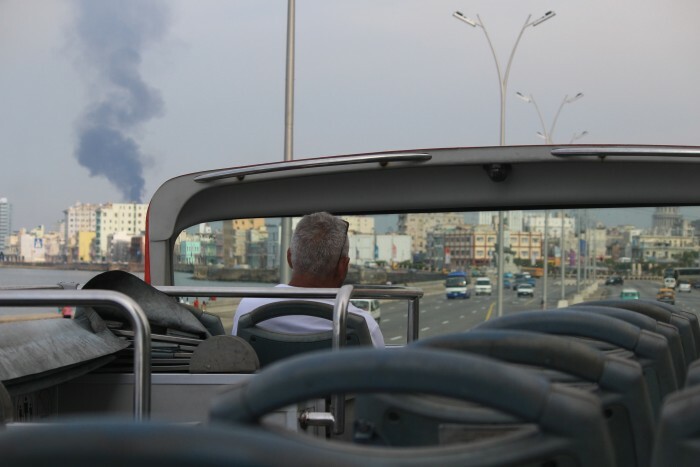 Finally on the correct bus, we passed through Havana Vieja before circling back to the Malecon. It was a nice day to be driving along the coast. 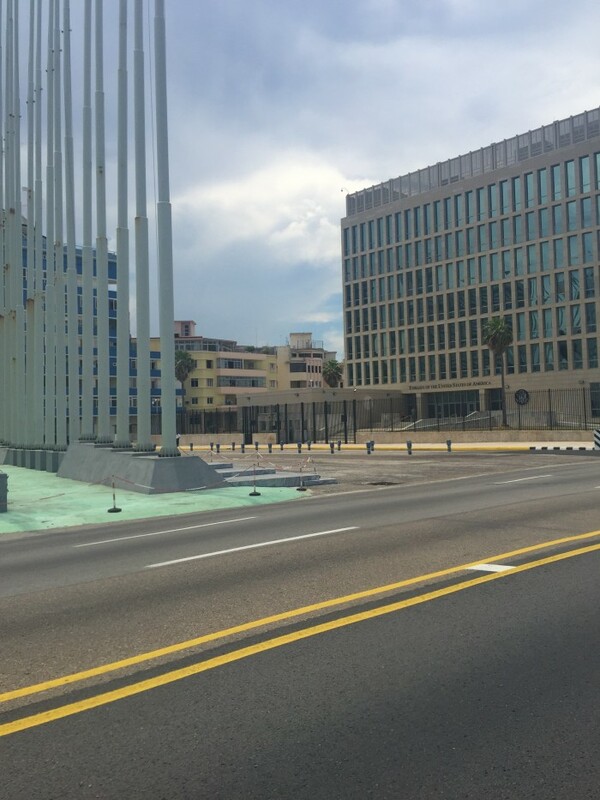 We passed the recently renamed U.S. Embassy, which had been known as the U.S. Interests Section of the Embassy of Switzerland until Secretary of State John Kerry’s visit to officially open it as the Embassy just a couple of weeks before my trip. 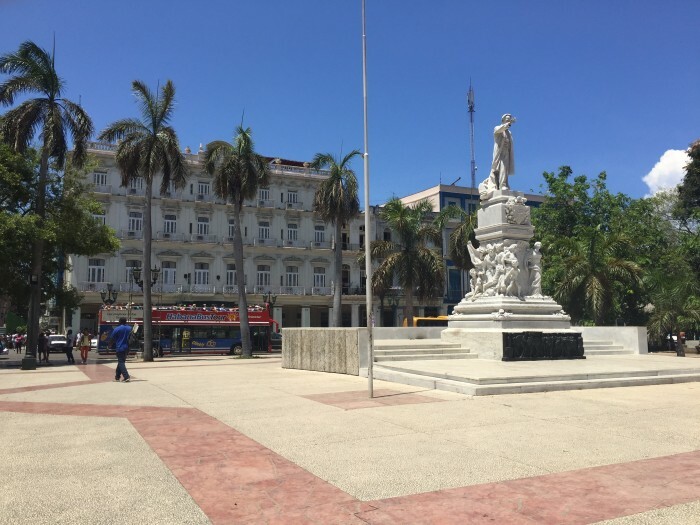 After passing down the Malecon for a while, we headed back south, zig-zagging through some interesting neighborhoods on our way toward Plaza de la Revolucion. 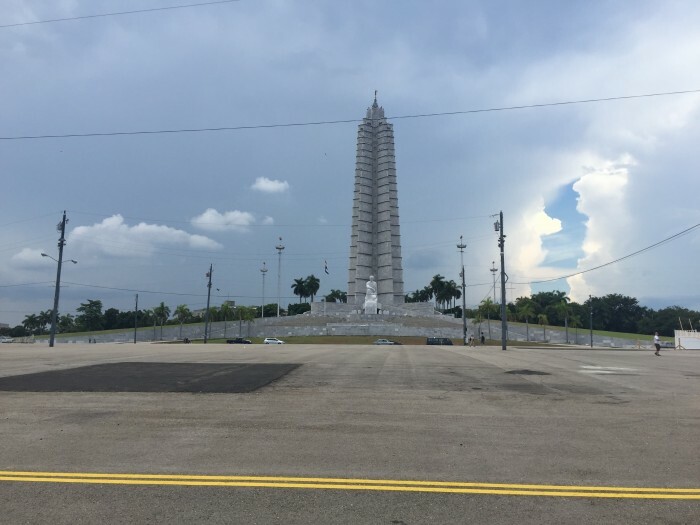 Plaza de la Revolucion features massive tributes to Cuban revolutionary heroes Fidel Castro, Jose Marti, and Che Guevara. 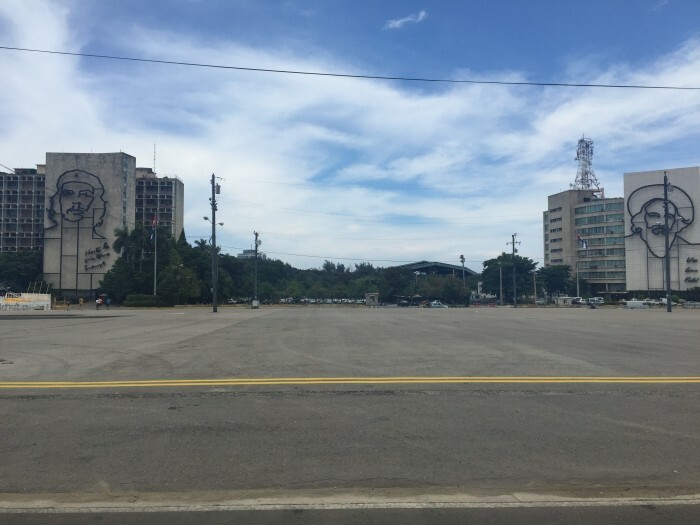 The entire plaza is paved over and heavily monitored, making it one of the least inviting places I saw in Cuba. 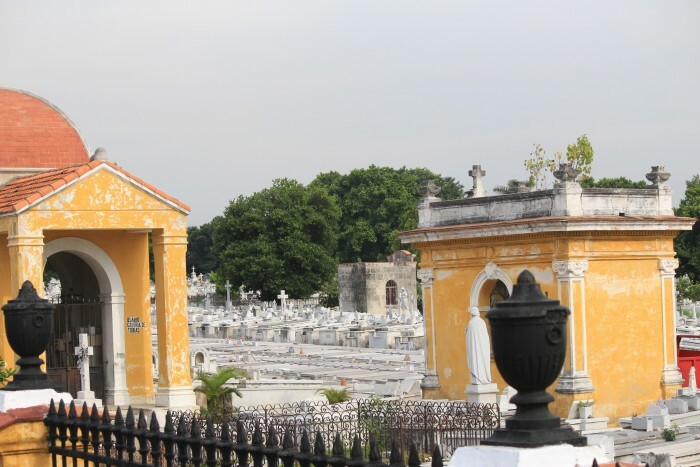 Moving on, we passed by the largest cemetery in Havana, the Necropolis Cristobal Colon. 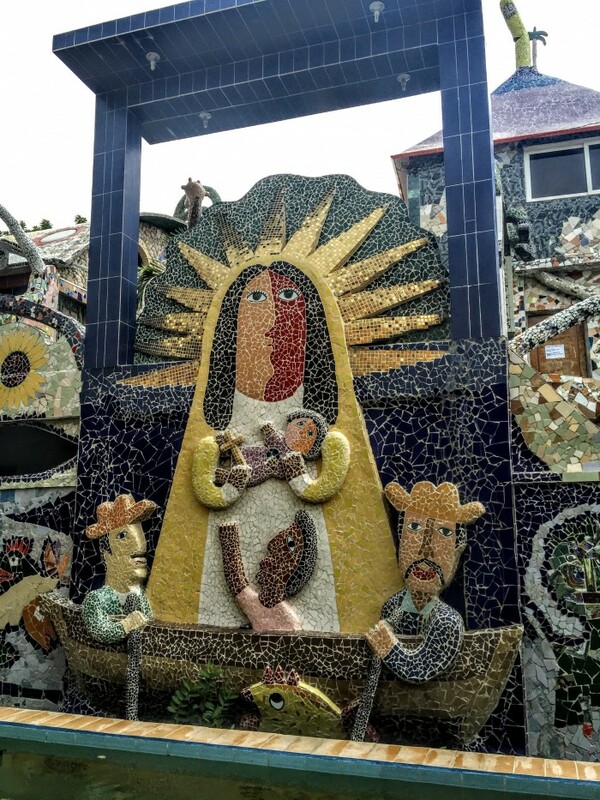 Despite some brief debate about where I was heading (there is apparently also a Fuster museum in Havana in addition to Casa de Fuster), we drove through increasingly suburban neighborhoods such as Miramar. Eventually, we reached the end of the line for the first hop-on-hop-off bus before it would be turning back. 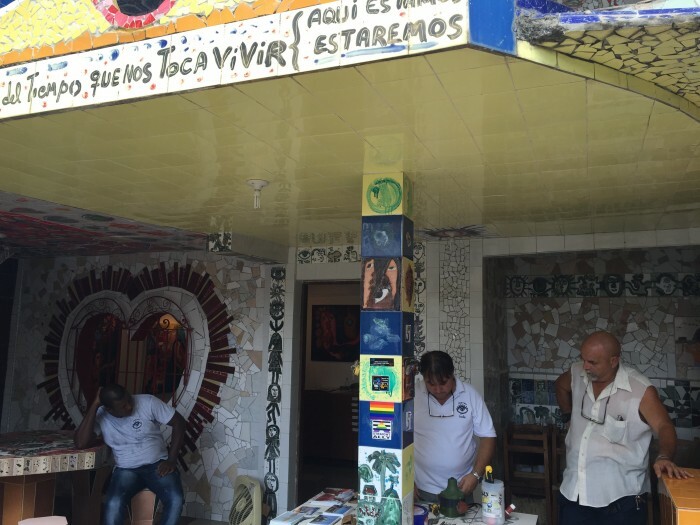 The stop is named for a nearby restaurant called Restaurante La Cecilia. 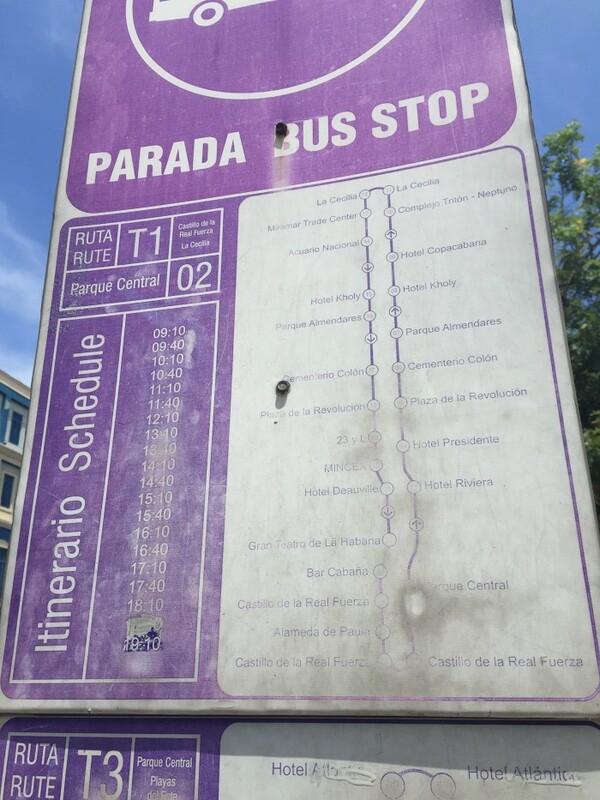 This sign is from the stop where I got on at Parque Central. Given its age & lack of adherence to schedules, I wouldn’t trust the times, but you can get a rough idea. According to Google Maps, the Transtur offices (the company that runs the bus) are located here. 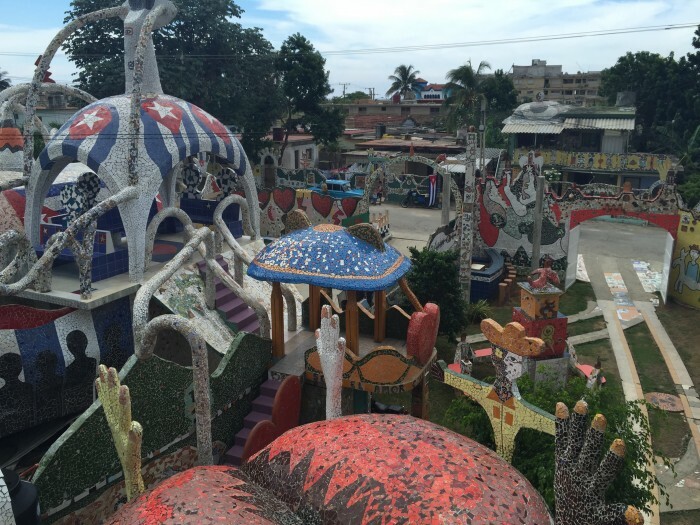 There is a fun park across the street. I was then told I needed to pay the additional fare ($1 CUC, 100% worth it for the air conditioning), and another bus (T2) would take me the rest of the way to Fusterlandia. The 2nd bus was a family operation. I was the only person going to Jaimanitas, and it seemed like they were making a run just for me. I asked when they bus back would be, and they said one hour after they dropped me off. Ok then. 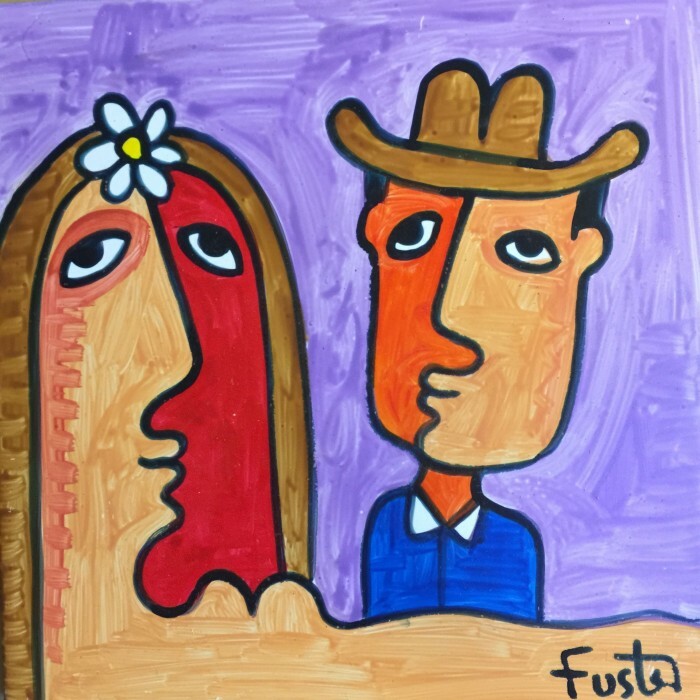 I would have one hour to explore Fusterlandia. It’s a short walk from the bus stop to Casa de Fuster, and it’s easy to find the way. 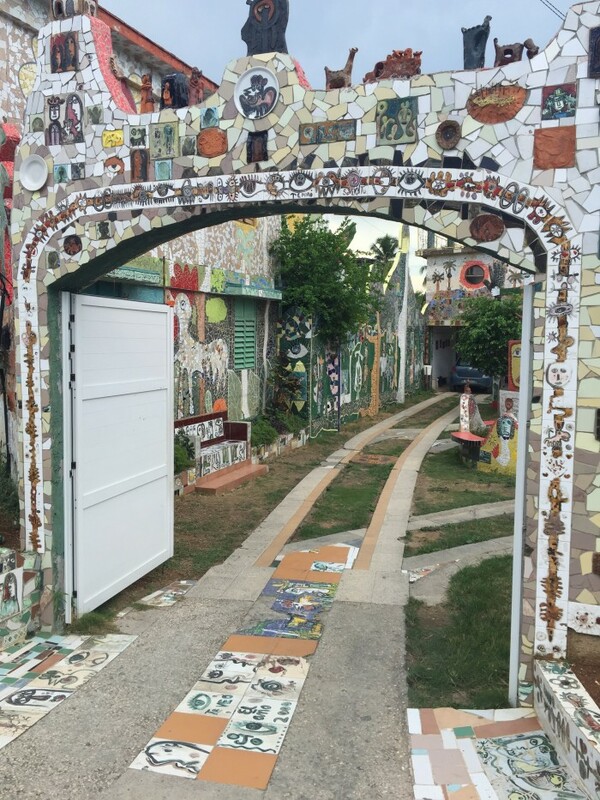 Just follow the murals and tiled mosaics north toward the sea. Don’t go too far though. Rumor has it that a certain former Cuban leader mentioned previously has retired to Jaimanitas. A heavily guarded opulent-looking building sits at the end of the first street I walked down to get to Casa de Fuster. I dared not venture any closer, though you can see it in this photo. Whatever the building was, it seemed important. Making the right turn toward Casa de Fuster, it’s again obvious where to go. I passed underneath the archway and began to explore. Don’t worry about where you can and can’t go, every off-limits area was pretty clearly marked. You can go up a few levels to the top in order to get the best view of the entire property. I do wish that it had been a sunnier day when I was visiting Fusterlandia. 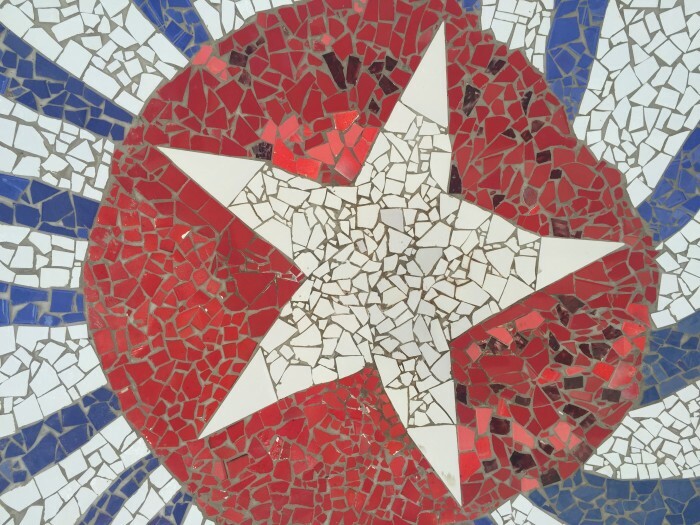 However, even with grey clouds overhead, the colors of the tile mosaics still came through. I kept crossing back-and-forth because each time I did, I would notice new details. Jose Fuster was not there when I visited, but his assistants (including one who I believe is his son) were there. I was the only visitor for a bit, but a small tour group came by a bit later. I pretended to look around while listening in on their tour. Visiting Casa de Fuster is free. However, you’ll want to bring some money with you in case you’re interested in purchasing anything from the workshop spaces. Having explored all of Fusterlandia, I headed back to the bus stop, since I was afraid I would miss the bus. In hindsight, I shouldn’t have worried. I chatted a little bit with some of the people who were waiting for city buses, though not too much due to the language/accent barrier. And I waited. The hour from when I had been dropped off had long passed. I wasn’t too worried, as there was still plenty of daylight. I figured I’d get back to Havana Vieja somehow. But still, as the more time passed, I wondered if the bus would ever be returning. Finally, the bus arrived almost 45 minutes after it was supposed to. It nearly passed me as they weren’t paying attention and missed my frantic waving until the last second. They stopped, and I was back in sweet, sweet air conditioning for a little while. I didn’t have to pay anything for my return trip. We arrived back at the turnaround for the main hop-on-hop-off bus. 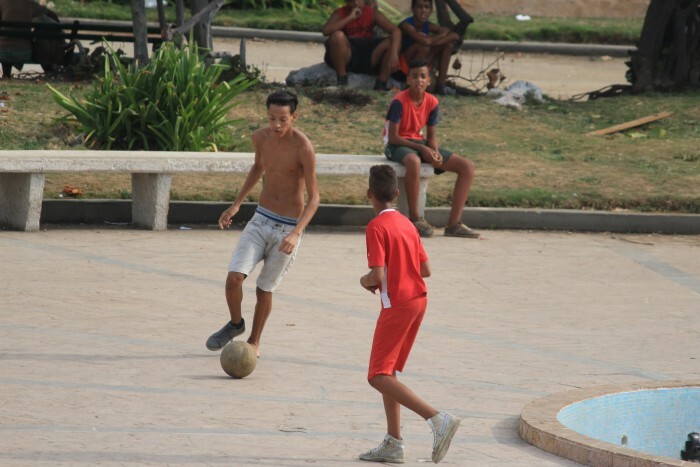 I waited there for about 20 minutes, but it arrived, and we headed back to Havana Vieja. The top of an open top bus makes for an interesting way to view a city. You can watch everyone going about their daily business from a completely different level. You just need to watch out for low-hanging electrical wires. 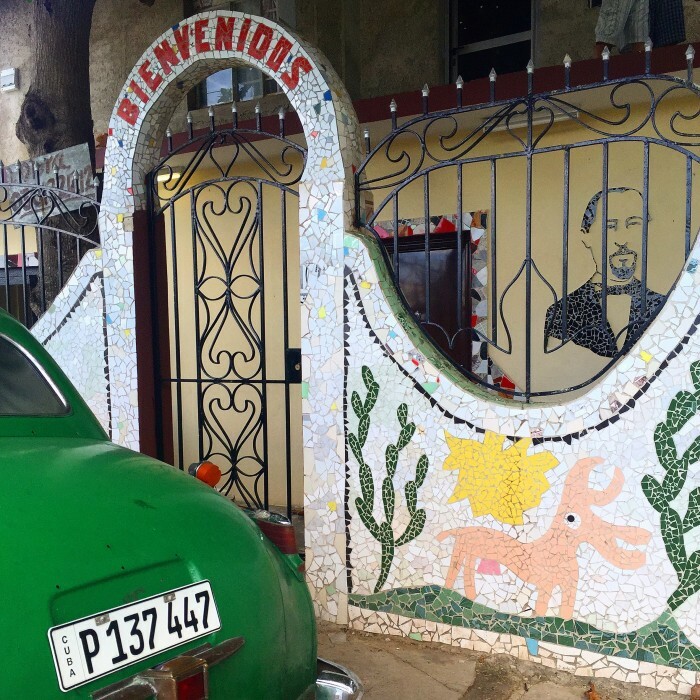 The journey to and from Jaimanitas lets you get to see even more of Havana, parts that aren’t seen by as many travelers. 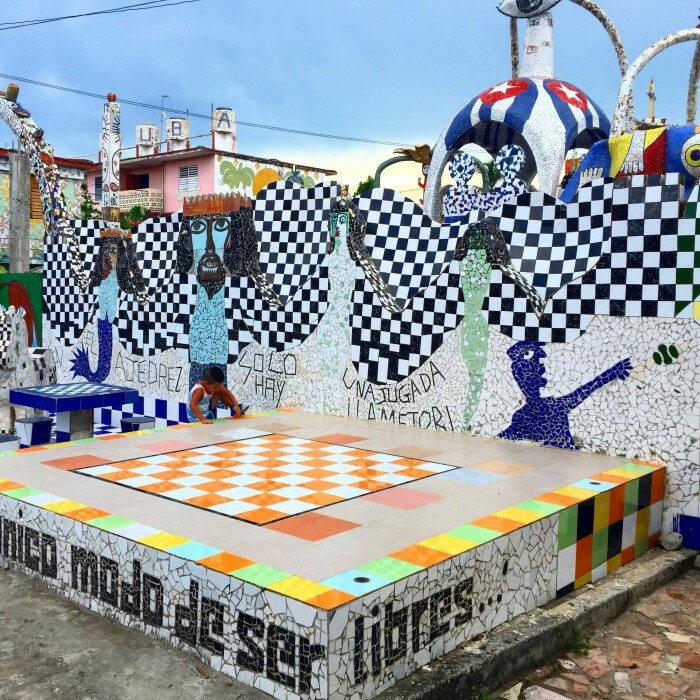 While it’s a bit difficult to get to, Fusterlandia is a unique piece of Cuba that should be on your list if you have a few days in Havana.